Welcome to Sockeye Enterprises Inc. 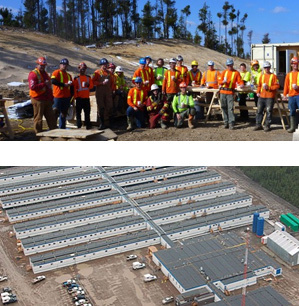 Since 2003, Sockeye has worked hard to establish itself as a leading installer of modular field accommodations, offices and support equipment to the resource industry. Our crews have successfully completed projects from the coasts of BC to Newfoundland and Labrador, with extensive work for the oil, gas and mining industries in Western Canada. Sockeye’s rapid mobilization also makes us ideal for constructing disaster relief housing. We helped out at Slave Lake after the fires in 2011, and built two relief camps in the aftermath of the 2013 floods in the Calgary area. View our past projects, our testimonials, + our complete list of resource industry services.